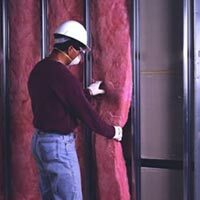 Whether you are building an apartment community in Atlanta, homes in a new residential development in Kennesaw, or an office park in Marietta, Arango Insulation has the commercial acoustic insulation products you need throughout the Atlanta area and across Georgia. Sound protection is important in any building, both residential and commercial, in order to provide inhabitants peace and quiet free from outside noise contamination or sound transfer from room to room. We offer products from only the most trusted manufacturers in the industry, providing our customers with the best in commercial acoustic insulation available. Your clients will be thrilled with the quality of sound protection our insulation provides. Contact us today to learn more about our selection of commercial acoustic insulation or any of our other products or services, including commercial roofing. We serve both commercial and residential needs in communities such as Marietta, Kennesaw, Alpharetta, and other areas throughout Atlanta and all over Georgia.